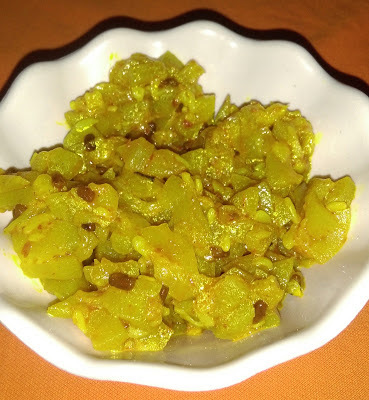 MyFoodPitara: Lauki ki Sabji (Dry) | Bottle Gourd Dry | How to make Lauki ki Sabji? Lauki is a common vegetable in Indian kitchen. It is also known as Ghiya, Dudhi and Bottle guard. It is often combined with various lentils to make wonderful dishes. Lauki ki sabji is a simple and traditional dish in India. Wash and peel the lauki. Chop off the top and bottom tip and cut it into ½ inch pieces. Heat oil in a kadai. Add fenugreek seeds, let them change their colour. Add chopped onions and sauté till light brown in colour. Add lauki and mix well. Sprinkle turmeric powder and red chilli powder. Mix well and cook covered on low heat stirring in between. When lauki is cooked, add mango powder and salt. Mix well and cook for 2-3 minutes on high heat. Serve with chapattis. 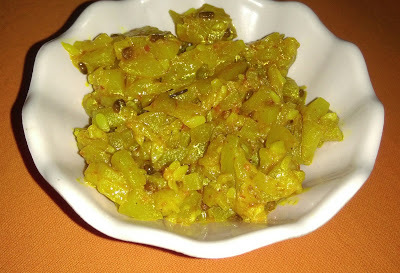 Lauki (Bottle Gourd) is low in fat and cholesterol but high in dietary fibre. Its high water content makes it very cooling. 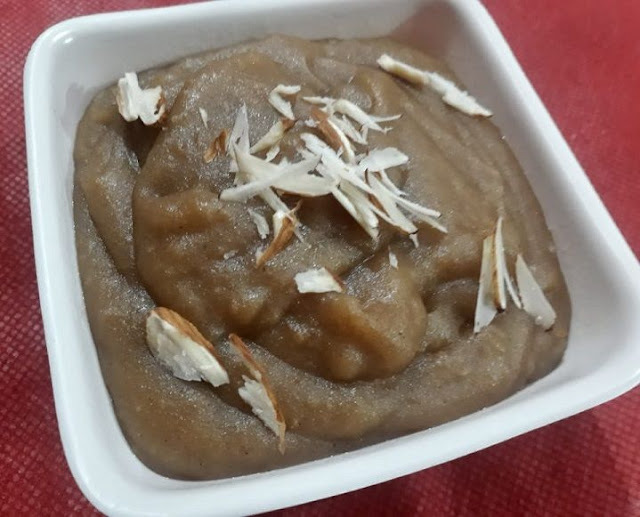 Lauiki is a versatile vegetable and can be used in preparing variety of savoury and sweet dishes.